On the importance of failing in educational games. 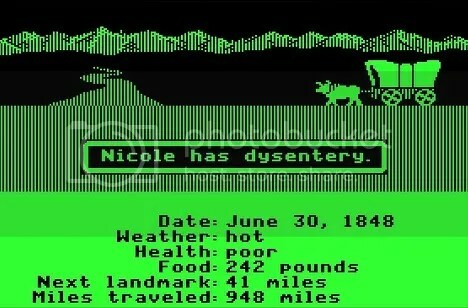 Nathaniel Dziomba remembers dieing on the Oregon Trail and writes about why failing in video games is so important. “Part of the huge potential that games have as a teaching aid lies in their ability to allow people to learn things on their own. While there are plenty of games that beat the player over the head with questions and facts, few educational titles simply present a problem and task the users with solving it themselves. Posted on July 24, 2012, in Uncategorized and tagged failing, Oregon Trail. Bookmark the permalink. Leave a comment.